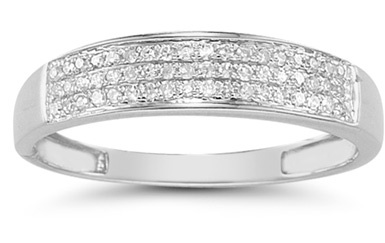 14K white gold band set with a total of 0.16 Carats of quality diamonds. Band measures 4.75mm wide at top (graduating). Also available for men or may also be purchased as a set. We guarantee our Domed Women's Diamond Wedding Band in 14K White Gold to be high quality, authentic jewelry, as described above.